The holiday season, while beautiful and magical, can also be stressful. 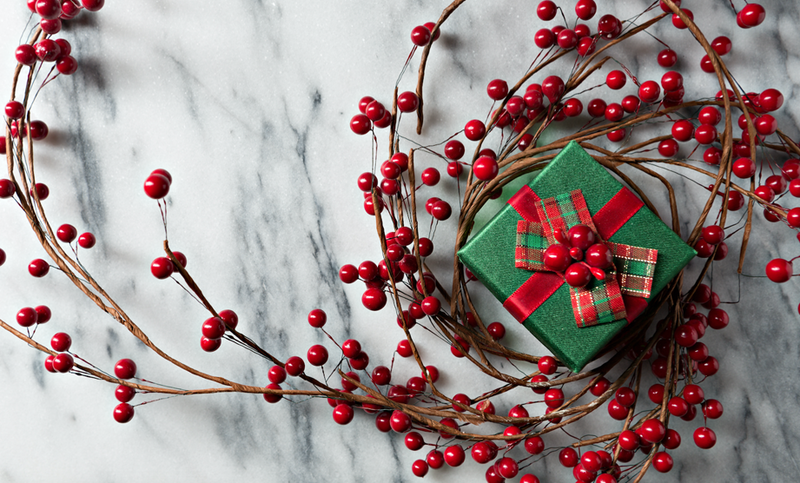 There are meals to prep, homes to decorate, and a crammed-full events calendar—not to mention buying gifts! While we can’t buy those gifts for you, we can help you with great ideas for those people on your list who love to cook. We see some happy Christmas smiles in your future! At the Southern Table with Paula Deen – Paula’s newest book boasts 150 delicious recipes with full-color photos that will make the family want to gather around the table again! At-Home Herb Garden – Fresh herbs make all the difference! Ensure your favorite at-home chef is always well stocked with a mini herb garden to keep in their kitchen window. Riverbend Cookware – Paula’s vintage-inspired cookware will transport your loved one back in time. These aluminum, non-stick pots and pans heat quickly and evenly and are dishwasher safe! Personalized Kitchenware – The kitchen is already a special place in the home for those who love to cook, but with personalized cutting boards, spoons, and more, you can help make it extra-special! Cooking with Paula Deen Magazine – Paula’s bi-monthly magazine is full of new recipes each month for potlucks and family gatherings to special holiday menus and weeknight favorites. Recipe Box – If your friend has old family recipes they use, give them something pretty to store them in! It will help keep their kitchen organized, and it looks nice to boot. Bonus points for including some of your favorite recipes inside! Paula Deen Air Fryer – This is the ultimate gift for those cooks that love good fried food but are conscious of their waistline. Now they can enjoy yummy fried foods with less oil, fat, and calories! Pretty Kitchen Towels & Oven Mitts – Anyone who spends a lot of time in the kitchen knows the joy of using beautiful linens. It’s an easy way to add a little color or personality to a kitchen! Paula Deen Club Membership – For the Paula fan on your list, a Paula Deen Club membership includes all things Paula all in one place, including preferred seating, special discounts, exclusive gifts, a magazine subscription, and more!